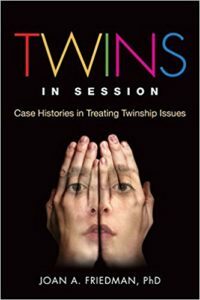 Some twin pairs, not all, become disillusioned about their twinship because they struggle to be “known,” not just “noticed.” Since outsiders habitually relate to them as a unit or a fixed dyad, they expectedly have conflicts with their twin in an attempt to define or declare their individual selves. While twins fight just like different-aged siblings, their tensions have much more to do with establishing separateness and uniqueness, traits afforded naturally to siblings born at different times. 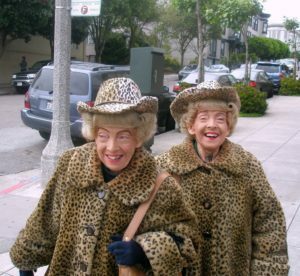 Twins, especially identical twins, appear to harbor more resentment toward one another as they get older because they have worked diligently to establish a balanced and harmonious relationship over the course of their lives. They have both invested in this balance out of a need and wish to regulate competition and comparison. As their lives diverge, it becomes much more difficult to maintain a sense of equality and sameness. When this occurs, one twin might find it difficult to enjoy her work or relationship successes because she feels guilty about disrupting the balance with her sister. I have worked with many twins who feel as if they are betraying and abandoning their twin when their life paths diverge and change. Their loyalties to one another are strong—while admirable, it makes separation much more difficult. Rivalry in adult twins has everything to do with wanting to be on one’s own and discovering one’s singular sense of self without worrying how this will disrupt and upset one’s twin. My work with twins has also highlighted why they have difficulty handling conflict. Rather than agreeing to disagree or being capable of hearing their twin’s perspective, they are more driven to win rather than compromise. I believe this lack of emotional maturity results from the fact that they are still struggling to come to terms with their individual identities and therefore are still fighting to beat their rival rather than respectfully accept their differences. Isn’t it ironic that twins who are perceived as soul mates and “best friends forever” often have difficulty with the most basic concepts of intimacy—compromise, empathy, and acceptance of differences? The deep dependency issues that naturally evolve growing up as a twin also fuel twin rivalry. So often twins are “crippled” because they have not mastered developmental milestones as singletons. They go to sleep, go to school, socialize, and study with their twin. While this togetherness has definitive benefits, it can also interfere with each twin’s capacity to be resilient and independent. By the time twins go to college, they are expected to be capable of handling many life tasks as an individual. However, without any prior planning or preparation, they are understandably ill equipped to handle many situations on their own. Most twin pairs eventually find ways to repair their relationships and mitigate their rivalry as they find and define their individual life paths and identities. If you have a story about a twin rivalry that improved over time, please share it in the comments section. The image in this post is courtesy of D. C. Atty via Flickr (CC BY 2.0 license).